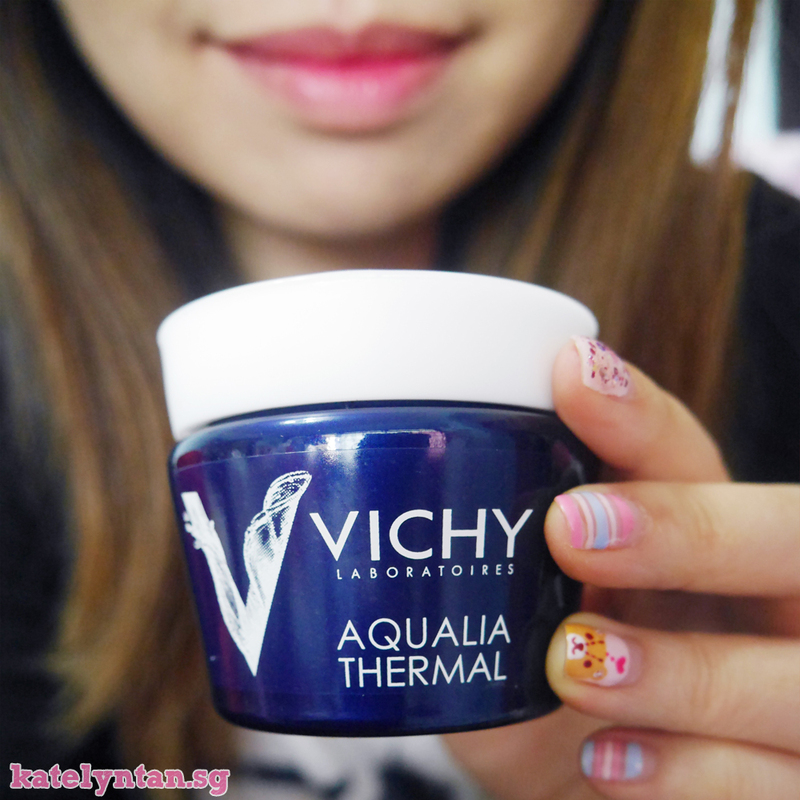 Anyways, today's review is about Vichy's Aqualia Thermal Night Spa! Advertised as Asia's most loved mask, it comes in a light gel-cream texture and a relaxing scent to replenish the skin at night when regeneration is at its peak. Wake up looking fresh, radiant and well-rested after just one night. Ingredients: Aqua, Glycerin, Dimethicone, Caprylic/Capric Triglyceride, Squalene, Ammonium Polyacryldimethyltauramide, CI 42090, CI 42053, Dimethiconol, Parfum, Sodium Hyaluronate, Phenoxyethanol, Poloxamer 338, Disodium EDTA, Caprylyl Glycol, Citric Acid, Biosaccharide Gum-1 and Xanthan Gum. I love the scent and texture of this product! It has the iconic nice smelling vichy fragrance and I love gel products in general cause they are not sticky/greasy. It can be a lil thick but as long as you don't over-apply, it can actually get absorbed by the skin rather quickly (I apply only a very thin layer on my face). After using this product for about 2 weeks (on top of my usual skincare routine), I think my skin really did feel smoother and it didn't cause me to have any breakouts. I mentioned in my previous Vichy review post that I used to use Vichy in my secondary school days for 2 years+! So yes, I think Vichy products are not bad in general ;) I would love this product more if it didn't come in tub form though hehe.